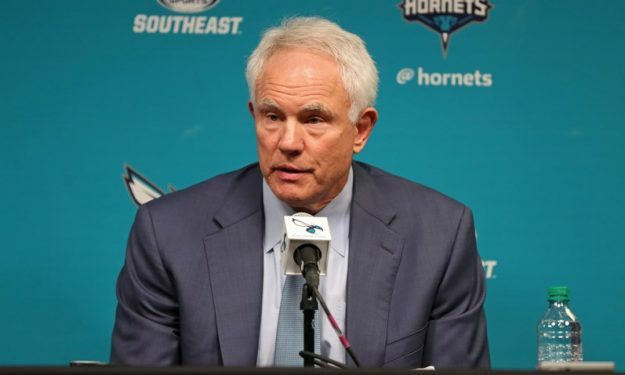 Charlotte Hornets General manager Mitch Kupchak scouted Lithuanian wing Deividas Sirvydis in the EuroCup Quarterfinals game between Rytas Vilnius and Valencia per Laura Ivaskaite of Basketnews.lt. Sirvydis played 8:31 and scored 3 pointers with 1/2 3-pointers. His Rytas Vilnius lost 56 – 71 and was eliminated 2-0 in the series. Earlier this season, Toronto Raptors president Masai Ujiri had also attended a Rytas game in order to check out Sirvydis. The player is projected as a second-round pick in the 2019 NBA Draft.